Leap Motion, the company that developed the Leap Motion Controller, has announced that Best Buy will be selling its flagship product. Pre-orders will start this February, and in-store sales will start this spring. 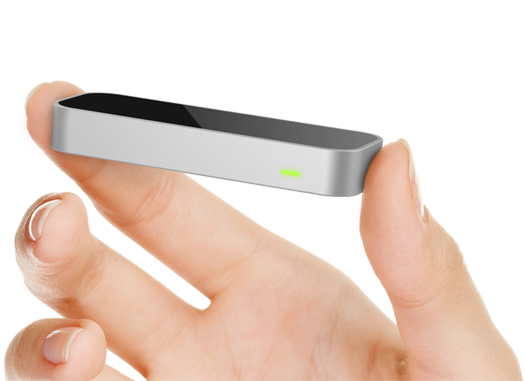 The Leap Motion Controller is a device the size of an iPod. Once the device is connected to a Mac or PC’s USB port, the user can control the computer in three dimensions, with gestures, over eight cubic feet of space. The device reportedly detects movement within one-hundredth of a millimeter. With the Leap, users can create 3D artwork without the aid of a stylus. They can also interact with 3D modeling software, play games without controls and sign important papers without ink or paper. The device even has medical applications: Doctors can control 3D medical data onscreen using only hand and finger gestures. According to CNET, over 40,000 people have signed on to engage in the development and app creation for the device. Some suggest that the Leap could drive cars or planes, while others suggest using it for special needs or physical rehabilitation. To become a Leap developer, interested parties can visit LeapMotion.com, submit an idea for an app and then see if they are deemed eligible for an early development kit. Leap chief operating officer, Andy Miller says that Best Buy, in addition to selling the product in its stores and on BestBuy.com, has agreed to feature the Leap and associated video displays prominently within stores. Leap Motion will also sell the controller on its website and will launch an app store to go along with the product. A pre-order form is already available on LeapMotion.com, but the company only says that the device will ship “in early 2013.” Customers can return their Leap Motion Controller within 60 days of shipping for a full refund.